Let me welcome you to my website. I have been in the banner and sign business for over 30 years. I offer high quality products at low prices with a quick turn around time. To see examples, please visit Gallery page. Vinyl Lettering on Vinyl Banners: heavy “plastic” with stitched hems and grommets, perfect for long-term outdoor use and frequent events. Vinyl lettering allows for changing of dates, prices, etc. as opposed to full color ink printing. Starting at $9/square foot. Available in 3-5 days. Full Color Vinyl Banners: digital imaging ink process 13 oz. vinyl banners with hems and grommets included. Ideal for reproducing full color logos, pictures, and artwork. Starting at $6/square foot when you provide good quality art file. 200 dpi high resolution eps, pdf, jpg. Allow 1″ margins for hems and grommets. 10 square feet minimum charge. Set-up fee may apply if you don’t have a good quality art file. Please be careful when comparing prices online. Make sure that you are getting the same high quality product offered here with high resolution printing, hems and grommets included. Heavier Vinyl Banners: 18 oz. 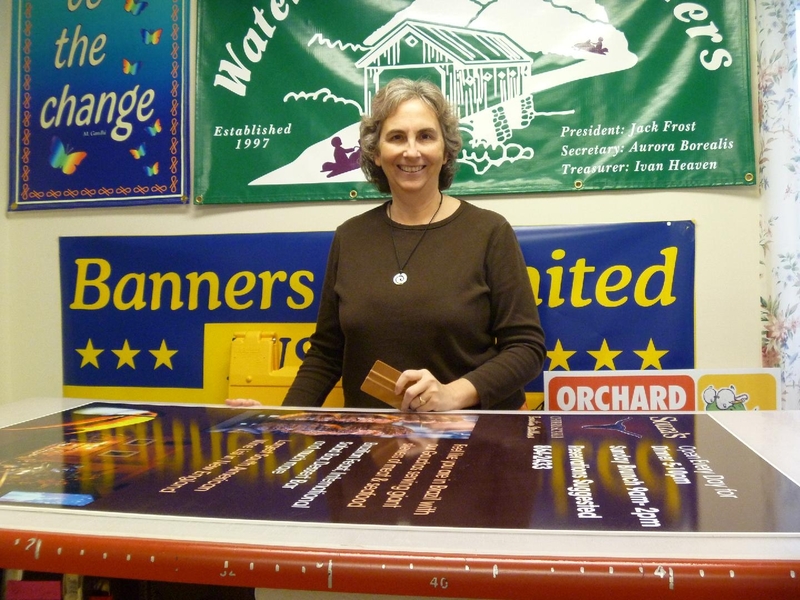 vinyl banners for double-sided use. Starting at $12/square foot. Available in 3-5 days. Ask About: Webbing in hems for extra strength, ropes in hems, and pole pockets, on all vinyl banners. Available in 2-3 days in a variety of stock colors. Special order colors 3-5 days. Pre-spaced adhesive vinyl lettering for you to apply on: vehicles, boats, windows, store-fronts, existing signs, etc. Vinyl lettering applied on non-banner substrates: celtec plastic board, magnetic, static-cling, corrugated plastic, aluminum, bumper sticker stock, etc. Artwork: scanning capabilities for your artwork or logo starting at $30/logo. A Business With No Signs Is A Sign Of No Business. © 2019 Banners Unlimited. All Rights Reserved.